I’m a long-time James Long girl. 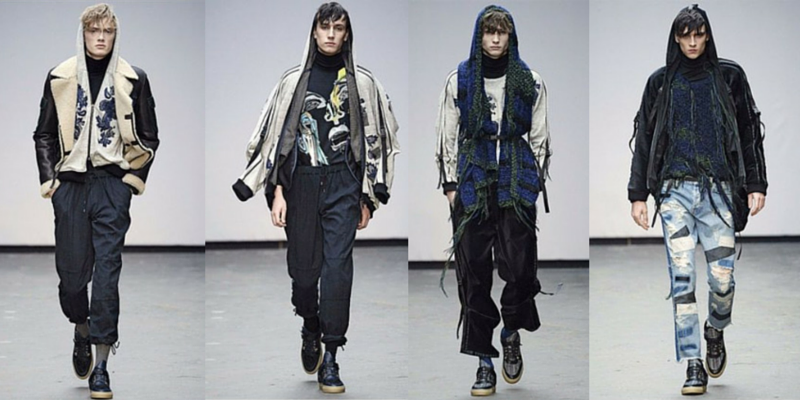 An LC:M and industry favourite, Long’s deft work with leather, prints and denim has amassed a legion of fans since winning the first ever NEWGEN award about a billion years ago. Long’s autumn/winter 2015 collection was all about dramatic jackets with a dusting of super luxe sheepskin. The oversized leather and denim jackets with utility pockets were the stand out pieces as well as the herringbone jersey tracksuits. Long also juxtaposed delicate lace with his luxury urbanwear aesthetic for an interesting take on streetwear. One of my favourite collections this season.